It took less than one hour to order and successfully port a 212 number to T-Mobile. I am very pleased. 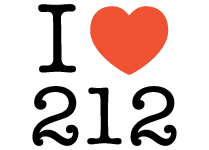 I had a great experience with 212areacode.com, and I am glad I chose to use them rather than any of the offerings on ebay, because I was able to see the whole number on offer, choose one I like, and have the details delivered by email the same day.I was particularly impressed with the follow-up service I received making for a quick and painless porting experience, even after the sale had already been made, and I wouldn't hesitate to recommend this to anybody who asks me how I got my number! Within two hours I had successfully purchased and ported my 212 exchange. The clarity of the website and approachable staff at 212areacode.com made the transaction easy. My new number recaptures the NY I remember from my childhood…my hometown. Delivered as advertised. What impressed me most was the speed and efficiency. From start to finish I’d reckon it took 3 hours and about only 15 minutes with my actual cell phone provider. Good job!!! Excellent service I bought the business phone number and within 2 days I got the email with the number and the procedure to follow to port over 212 number I called in my case AT&T and it only took less then 5 minutes and I successfully transferred my number to 212 area code. Thank you Dave.